Jolly LLB 2 4th / 5th Day Collection 4 / 5 Days JLLB2 1st Monday / Tuesday Box Office Report: Akshay Kumar’s Jolly LLB2 movie became the third biggest opener of 2017 after Raees and Kaabil. In the first three days, it has collected more than 50 cr at the Indian BO. So, far Jolly LLB 2 collection has been excellent. The second film of the JollyLLB franchise opened on an average note but increased significantly on Saturday and Sunday. 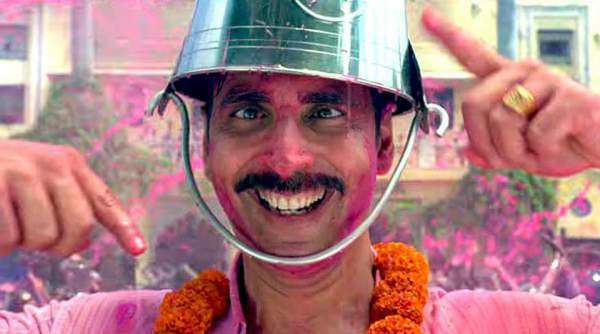 Joly LLB 2 had hit the box office on Friday, 10th February 2017 and earned a total of around Rs. 13.20 crores. The earnings went on increasing on the next two days, Rs. 17.31 crores and Rs. 19.95 cr. Today, it is the fourth day of the movie on the worldwide BO. Being a typical working day, the film will face a significant drop on Monday as compared to yesterday (Sunday). It will be a little drop from Friday, and the flick is expected to earn Rs. 6 cr as per the early reports. Share: Happy Valentines Day Images. The occupancy on Monday is good considering a typical working weekday. It started a little lower than what was expected in the morning shows. However, like the previous day, the occupancy will increase in the later half of the day. If it does increase significantly, then the movie will sustain in the coming days of the first week. Check: Happy Valentines Day Quotes 2017. The film is still faring comparatively best in Delhi and Punjab regions as it has the North Indian flavor. The average occupancy for Monday was 20% while on Friday; it was 25% to 30%. Thus, it hasn’t faced much drop. Single screens may face drop today as the content is multiplex-friendly. The film will have to repeat the Friday’s performance to make a decent average occupancy for today. The ‘lower ticket price than weekend’ factor will come into play today, and eventually, the business will face some drop. The Jolly LLB2 Monday collection will decide the fate and success of the movie at the BO. The chemistry of Akshay Kumar and Huma Qureshi in the comedy-romance flick has been appreciated very much. The film revolves around the present condition of Indian legal system. It is faring very well at the overseas markets too and has collected a good amount from North America, UAE, UK, and Australia. Everything depends on the evening and night shows now. They will decide the total Jolly LLB box office collection for the fourth day. Stay tuned to us as we will keep it updating.